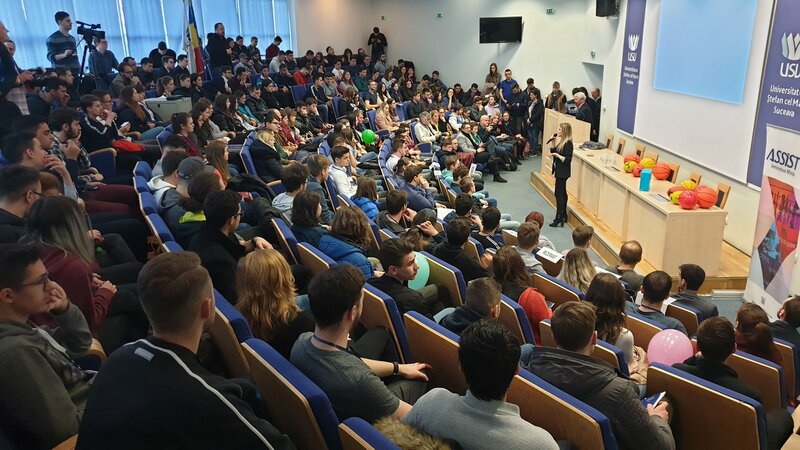 The 11th edition of the Open Doors ASSIST event took place on the 20th of March 2019, at Stefan Cel Mare University of Suceava (USV). This is the most important annual event dedicated to university students who want to start a career at ASSIST Software. Every year, we are surprised by the increasing number of students that are passionate about technology and are curious to learn more about it. 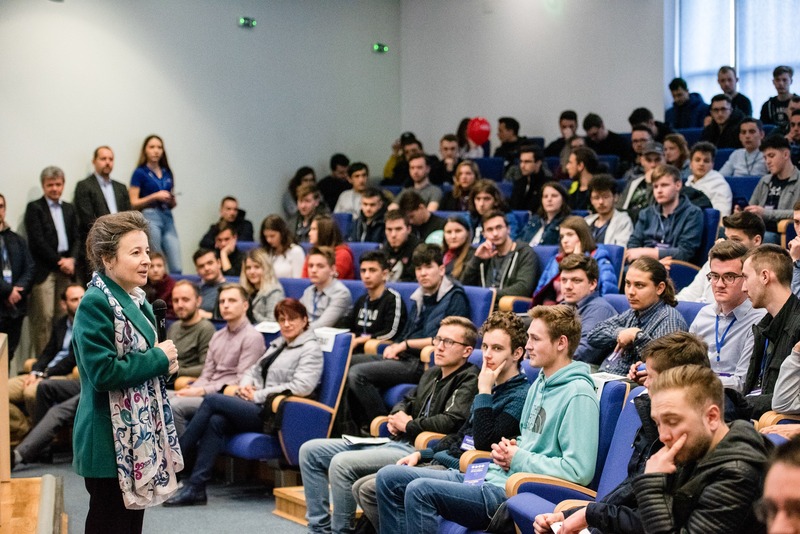 At this year’s edition of Open Doors ASSIST, we hosted over 450 talented, young students eager to discover more about the latest technologies and about the exciting projects our company is currently working on. 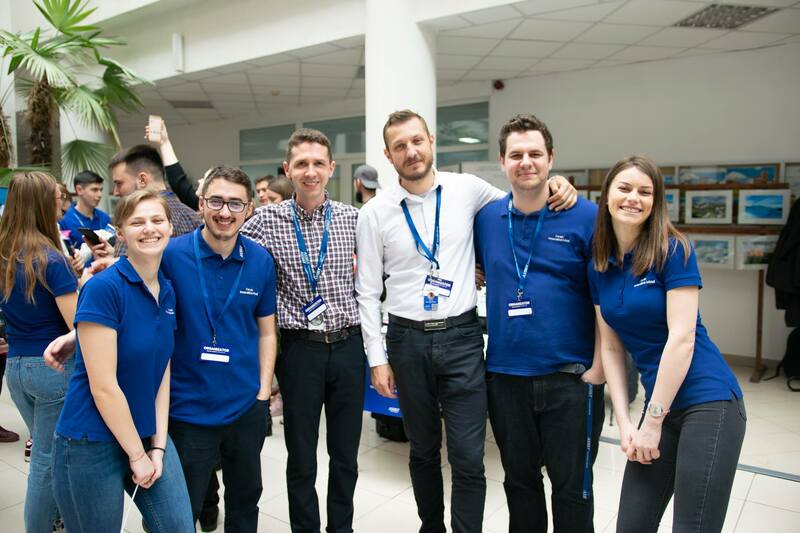 During the event, which lasted more than five hours, the ASSIST team had the pleasure of meeting and exchanging ideas with enthusiastic attendees who participated in workshops and attended technical presentations delivered by our colleagues. Moreover, many students expressed their interest in a potential career at ASSIST, with over 180 of them applying for an internship at our company. 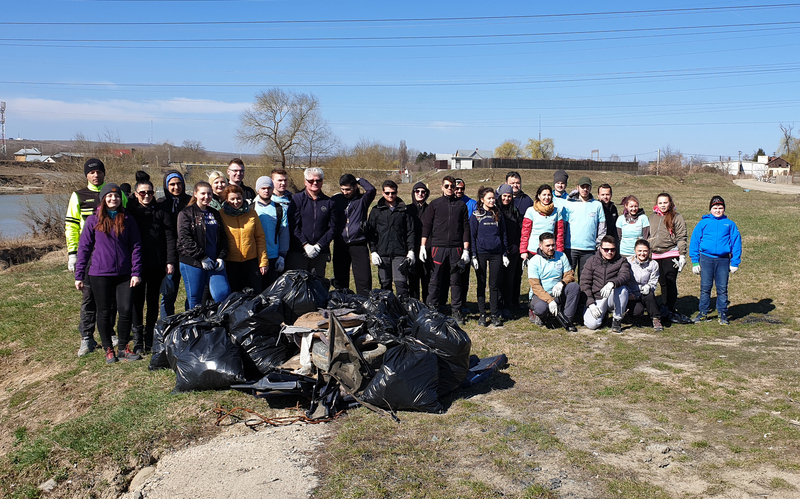 It is an impressive number, which can only be due to the long-standing partnership between our company and Stefan Cel Mare University of Suceava, one of the most important institutions we are fortunate to work with. 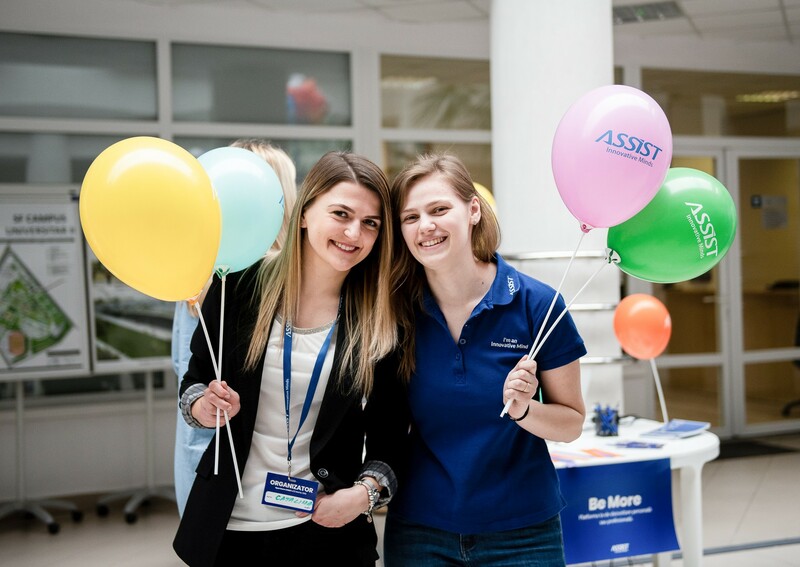 Open Doors ASSIST 2019 was a successful event fueled by our attendees' enthusiasm and positive vibes. 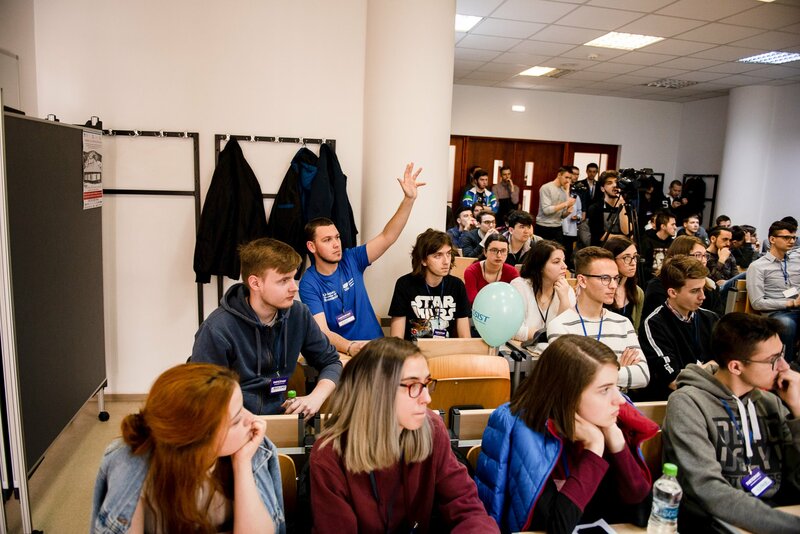 As you can imagine, every edition of this event is challenging for the ASSIST team due to our desire to bring into the spotlight innovative projects, interactive activities, and new thematic presentations. As with every edition of this event, we enjoyed hosting the event, meeting new people, and sharing our projects with the students. We exchanged ideas, laughed, ate pizza and had a really good time. 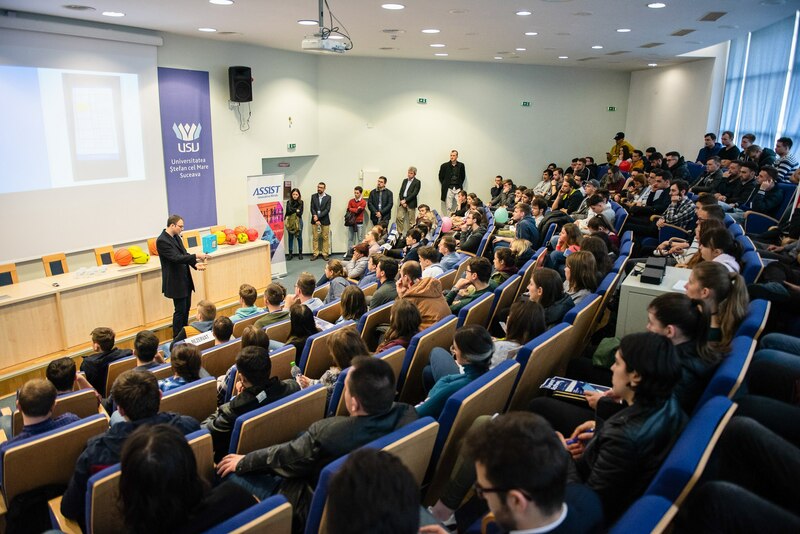 This year, the theme of the event was "Artificial Intelligence - from Code to Innovation". Therefore, the stands we displayed in the main hall of the University presented the finalists’ projects from Best Innovative Minds, an internal competition that encourages ASSIST employees to be innovative and bring their creative ideas to life. 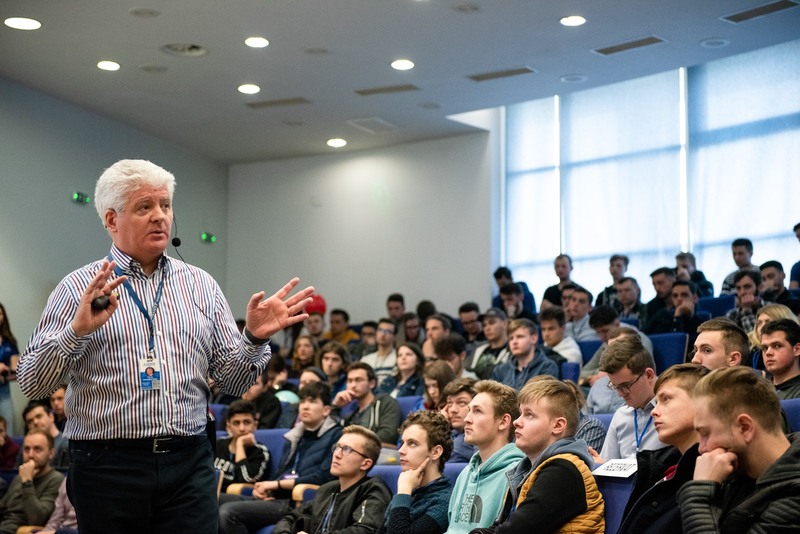 Students also had the opportunity to attend various presentations delivered by our colleagues. The presentation themes were carefully chosen in order to provide a variety of interesting presentations for students to choose from. The presentations covered topics such as game development, blockchain, AR, machine learning & more. The event also included a round-table meeting with professors from the university. They were invited to take part in discussions with ASSIST regarding European project opportunities. 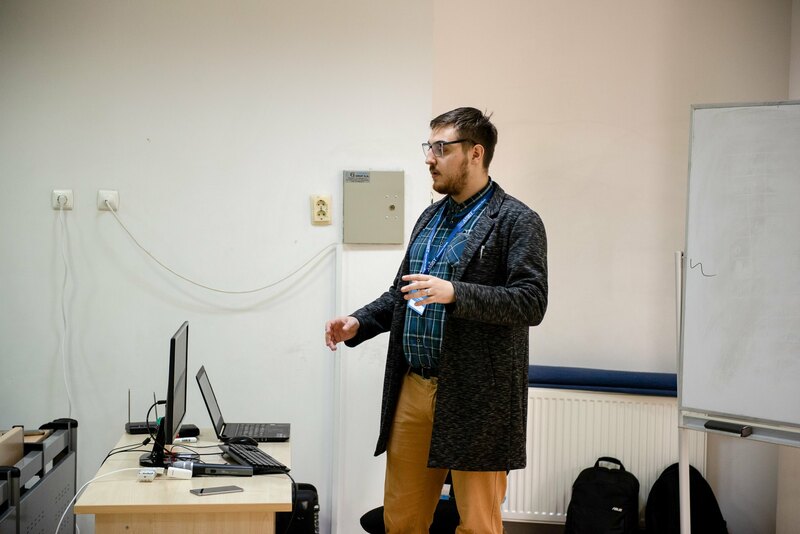 During this meeting, our speaker presented some of our most successful projects and talked about the possible opportunities of collaboration between the university and ASSIST Software. 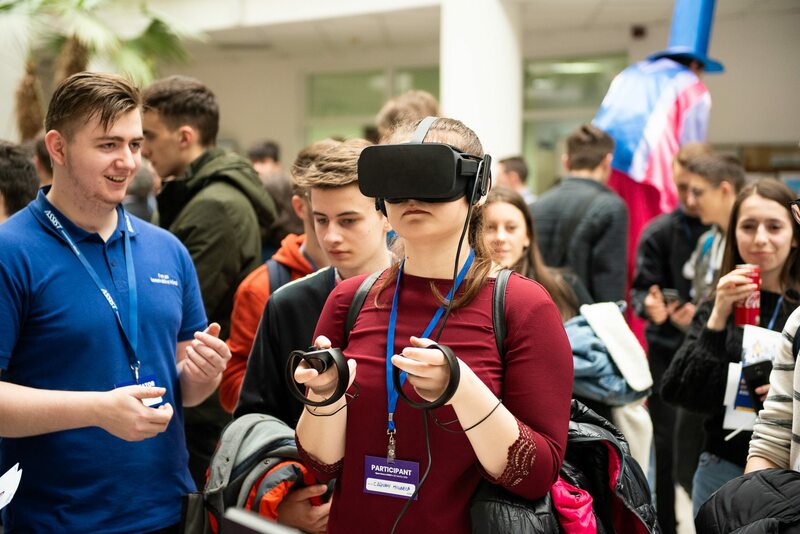 In addition to the project displays and presentations, at Open Doors ASSIST 2019, the participants were able to experience virtual reality through special applications created by the ASSIST team. We also challenged students to participate in an AR treasure hunt, which turned out to be a useful ice breaker and an exciting experience for them. This treasure hunt was created by ASSIST's Mobile Development team. Participants needed to look for a number of augmented reality elements placed in different locations around the university and collect them on their phones. Winners of the AR treasure hunt were awarded exciting prizes by the organizers. At the end of the event, we announced the big winner of the raffle we organized for this event. 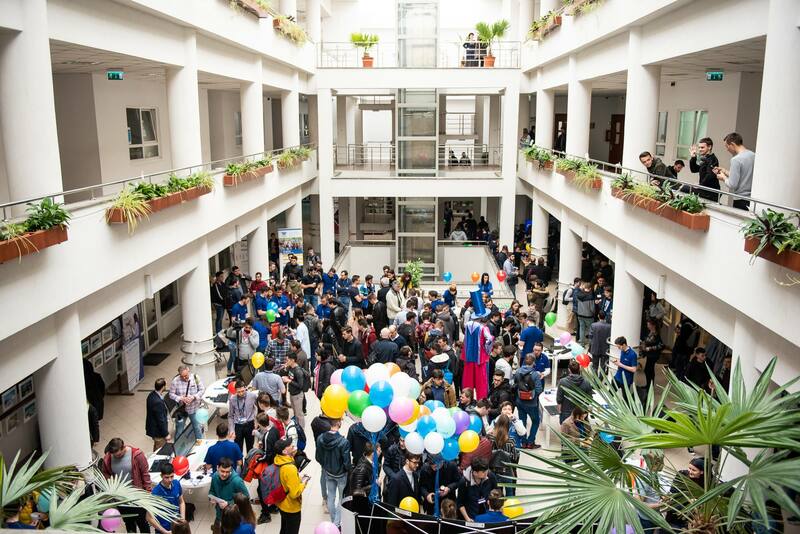 The lucky winner was Coșarcă Robert, a student of FIESC (the Faculty of Electrical Engineering and Computer Science at USV) and he won an Amazon Echo Show (2nd Gen). It is always a great pleasure coming back to Stefan cel Mare University. We highly value our strong long-standing collaboration with the representatives of this institution and we would like to give a special thanks to FIESC and FSEAP (Faculty of Economics and Public Administration), without whom none of this could have happened.